I’ve realised you can’t create something and expect people to care about it without getting out into the big wide world and showing your face. Or put another way: creating something and putting it out there brings new, interesting and challenging things your way. When I emailed the unstoppable Lorraine Liyanage, founder and director of the Dulwich Piano Festival from my cozy kitchen suggesting that my book might be good for a duet class, I didn’t foresee I would be asked to go and adjudicate the class myself. Hear It Live! 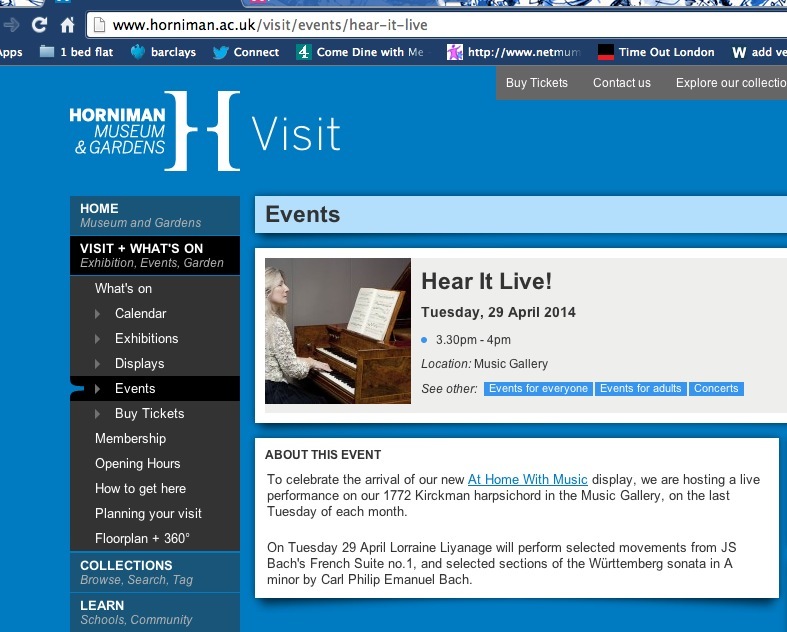 At the Horniman Museum and Gardens, Tuesday 29 April. Free entry. To celebrate the arrival of our new At Home With Music display, we are hosting a live performance on our 1772 Kirckman harpsichord in the Music Gallery, on the last Tuesday of each month. On Tuesday 29 April Lorraine Liyanage will perform selected movements from JS Bach’s French Suite no.1, and selected sections of the Württemberg sonata in A minor by Carl Philip Emanuel Bach. The programme includes music to commemorate the 300th anniversary of CPE Bach. Adult amateur pianists are invited to participate in our very informal performance opportunities in the wonderful setting of The Old Library at Dulwich College on Sunday 15 June. The adjudicators are Ernest So and Emmanuel Vass. The festival is now in it’s third year. Read an article about the very first festival written by Jack Thompson, aged 73 at the time of performing at the festival! 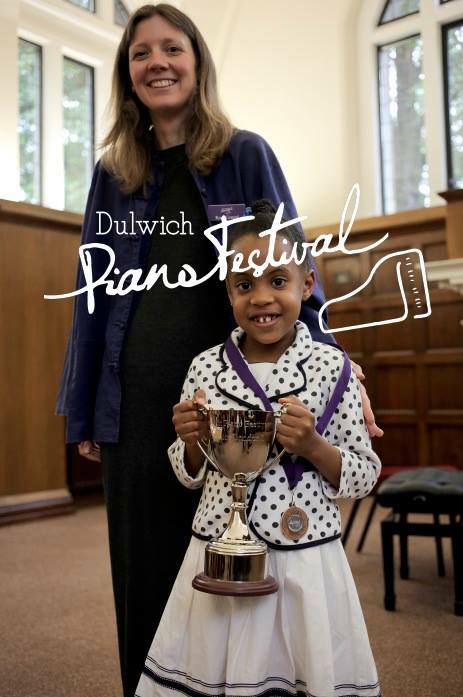 Back in January, Jack Thompson spotted an advertisement in his local paper asking for applicants to this year’s Dulwich Piano Festival. It said any amateur pianist could enter. So Jack went to see the organiser, Lorraine Liyanage, to ask if he could apply at his age – 73. Lorraine didn’t bat an eyelid although she said her main aim as a teacher of piano was to hold a competition in which young students would have the chance to perform in public. However, she had had one or two approaches from adults and was thinking of creating a special class for them to enter. In the event, two grown-ups applied, one of them dropping out at the last minute owing to illness, So, at the end of June 2013 in the Old Library at Dulwich College, Jack found himself the only adult competing against children who, he said, showed considerable talent. There were 11 in Jack’s class (Grades 3 – 5 and beyond), all young people of various ages playing a wide range of music from Tchaikovsky to Beethoven, Liszt to Gershwin. Jack played “Tango” by Albeniz. He won joint second prize together with five-year-old Alanna Crouch who played “Tarantella” by Burgmuller! 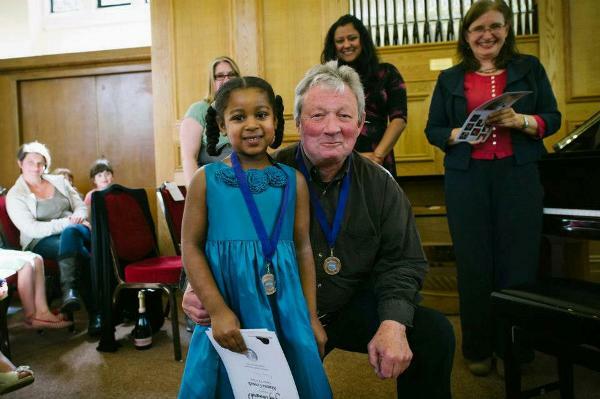 (The winner in their class was a talented seven year-old, who played Sonatina in F by Beethoven beautifully.) said. He has now been asked to perform at the prize-winners’ concert in January in the Michael Croft Theatre at Alleyn’s School. Jack, a former BBC foreign correspondent, who has been described as “an Albert Finney lookalike”, attended no fewer than seven Oldie Piano Weekends run by the inimitable late Raymond Banning. Jack fervently wishes they were still up and running so that he could hone his skills and perhaps win a first prize at next year’s Dulwich Piano Festival. 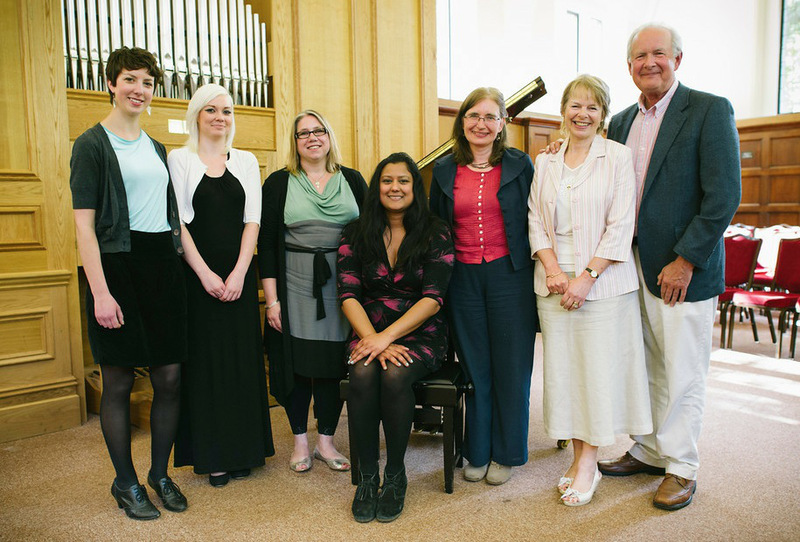 Lorraine Liyanage adds: The Dulwich Piano Festival has grown to a 2 day event with two adjudicators: Graham Fitch adjudicating the intermediate and advanced level students, and Frances Wilson adjudicated beginners and novice pianists. There is now a dedicated class for adult students, as well as 4 classes for beginners and a concerto class as the venue has 2 grand pianos available. The Dulwich Music Festival is the first festival in the UK to use an online entry and payment form – we have done away with the need for printed entry forms, stamps, cheques and envelopes in the post! 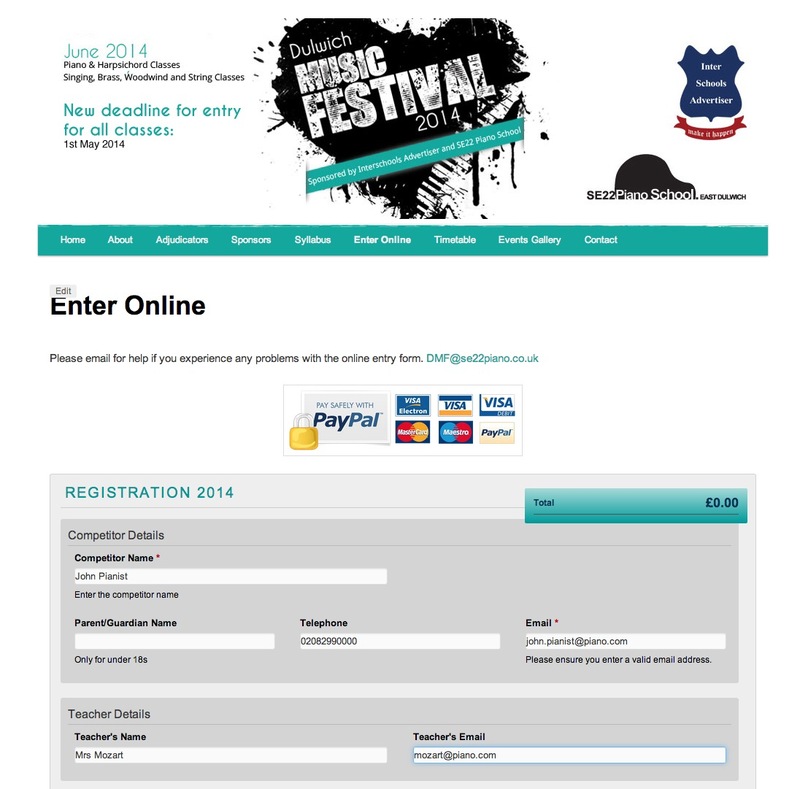 Here is a step-by-step guide to help you enter the 2014 Dulwich Music Festival using our online entry and payment form. 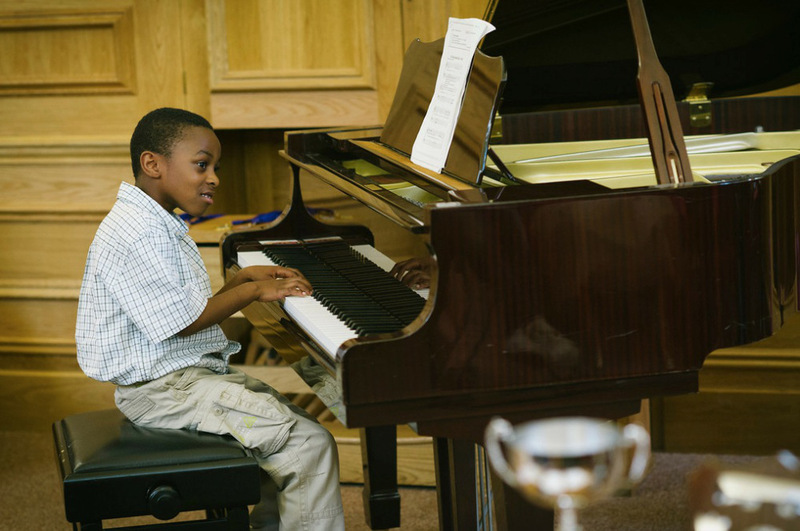 The piano classes will take place on Sunday 15th of June at The Old Library, Dulwich College. The timetable will appear online on our web site from 1st of June. We will inform all competitors by email when this is ready to appear. Your name will not appear online, just your class number and time. You will be emailed a receipt of your entry for your records. Payment is by Debit/Credit Card or Paypal on a secure server. Your card details are not stored anywhere online. Join us for a free lunchtime recital by upcoming young pianist, Emmanuel Vass. 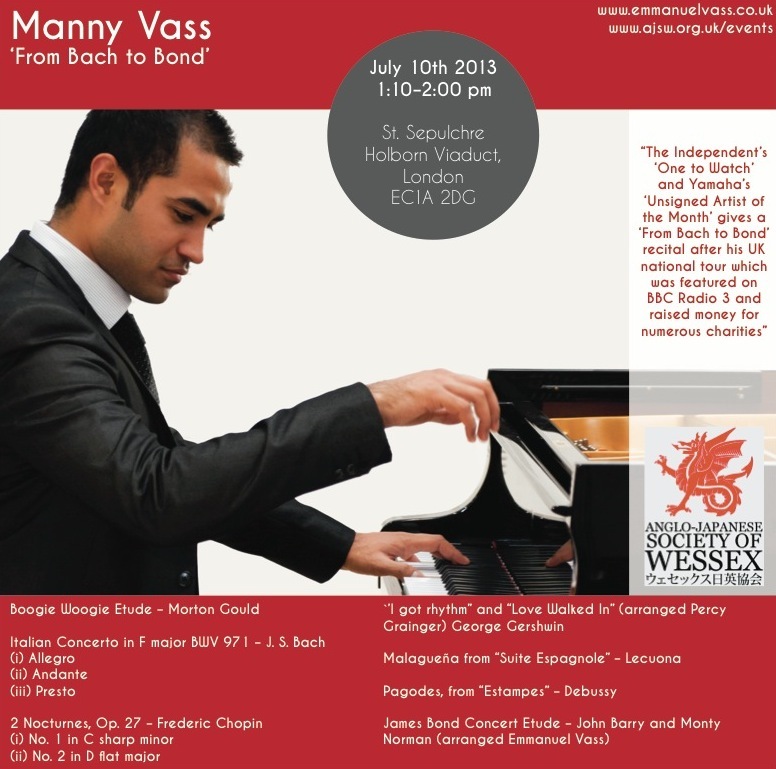 Named as ‘One to watch’ by The Independent newspaper in April 2013, 24 year old Emmanuel Vass is rapidly establishing himself as one of the most charismatic pianists on the contemporary scene. 2013 has already seen the launch of his first CD – From Bach to Bond – and his first UK recital tour under the same heading. The tour, which took in seven venues across the North of England and culminated in his London debut at Steinway Hall and St James’s Piccadilly, attracted considerable media interest, including a live broadcast on BBC Radio 3’s In Tune. This supreme versatility is also revealed in the calibre and variety of his recent engagements. Manny’s busy solo recital diary has included performances at The Bridgewater Hall (Manchester), Sheffield Cathedral, Leeds College of Music, the Long Gallery at Castle Howard and Hexham Abbey, as well as at the prestigious London venues Steinway Hall, St Lawrence Jewry and St James’s Piccadilly. He has performed for Lord Levy and the Russian ambassador in the Golden Room in Kensington Palace Gardens and for the French ambassador at The Lowry Theatre. At the Variety Club Jubilee Ball he played for the Prince and Princess of Monaco on the same programme as international artists The Manfreds, the boy band Blake, and Lulu. The ‘News’ section contains information about piano and music events, local events in East Dulwich, ABRSM exam tips, videos of our students’ performances, Piano Festival updates and much more! 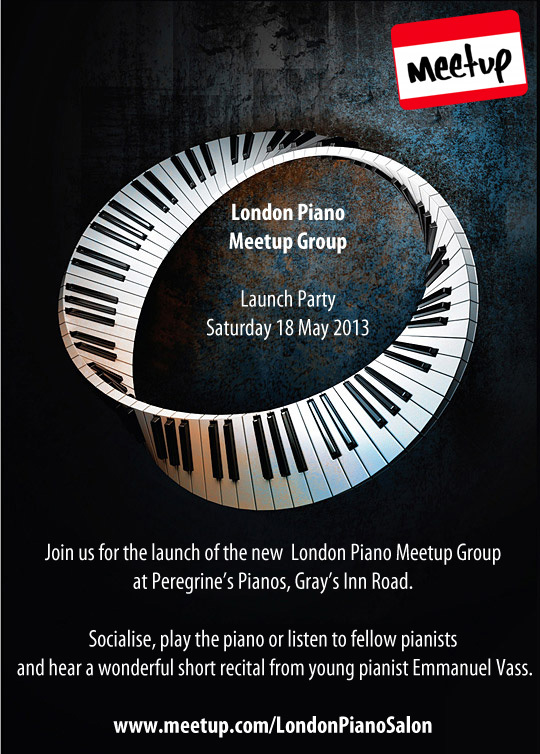 You are invited to the launch of the new London Piano Meetup Group at Peregrine’s Pianos on Saturday 18 May at 5.30pm. You can choose to perform or listen to fellow pianists playing on a Fazioli 212 Grand Piano. Time limit per performer: Up to 5 minutes. Please leave details of your repertoire with your RSVP. All performers receive a goody bag thanks to the generosity of our event sponsors. Pianist Emmanuel Vass will perform a short recital to conclude the event. Tickets must be booked in advance, they will not be on sale on the door. 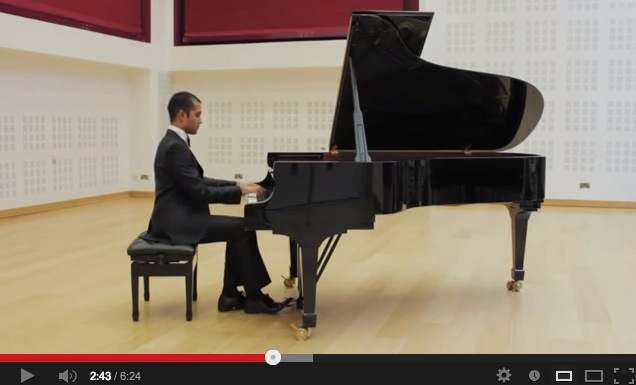 Click here to watch Emmanuel performing ‘James Bond Concert Etude’. We have spaces for 10 performers and 30 observers. Tickets are at a discounted rate for the launch event of £15 for performers and £5 for observers (usually £20 and £10). Tickets cannot be re-allocated or refunded if you cannot attend. This event is open to attendees age 15+. We have many students sitting their Grade 1 theory exam this term. Here’s a revision guide with a summary of the requirements. Please note that the guide includes Minor scales but these are not included in the current Grade 1 paper. They are included in Grade 1 practical piano so it is good to know the key signatures of these anyway as they will crop up in your pieces and sight-reading. Here is a separate link to the Italian terms and symbols for Grade 1. These crop up in lots of the questions so you must know all of them. Remember – for Grade 2, you are expected to know all of these words plus new words. Make sure you are working through at least 1 test paper a week. Bring these to your lesson and I will mark them. Ensure you have enough copies of the test paper so that you can leave one with me at your lesson and still have one paper at home to work through.